“Stuff,” loosely defined, consists of items sent to us that we continually set aside, honestly believing we’ll get to them “next week.” Well, “next week” never seems to arrive and the “stuff” is constantly shoved aside allowing us to write about more important things such as toe fungus or animal crackers. Today, we remedy that problem. The first item is one that should be an essential addition to any car’s emergency kit. 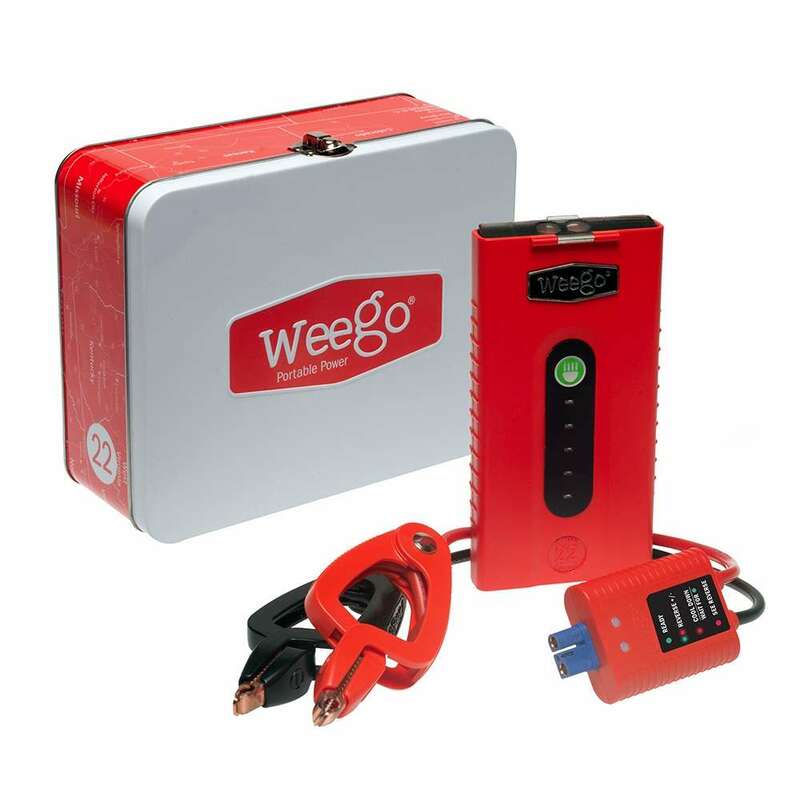 The Weego Jump Starter 22 ($99.99) is designed to jump start 95 percent of the cars on the road today. This ultra-convenient kit includes battery cables, a built-in 250-lumen flashlight and a mini-USB cable to charge smartphones and other mobile devices. The company claims you can get up to a year of standby power from one 2.5-hour charge. Of course, we have no way of proving – – – or disproving – – – that. But, we can say that we were able to jump start several vehicles, charge our phones, etc. and use the flashlight (in constant and SOS mode) without it needing a recharge. The flashlight should provide illumination for up to 14 hours before needing a recharge. 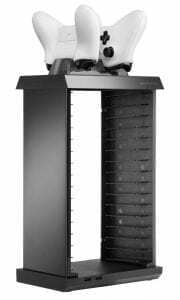 The Snakebyte Charge Tower Pro ($45.95) is a storage solution for any video game or movie enthusiast. The one we tested is designed to hold 15 games or movies and charge two Xbox One controllers and two USB devices. The charging cradle is removeable, allowing you to give your controllers an extra boost on-the go, which is a nice feature if you need portability. The Accell UltraAV Mini Dual Display MST Hub ($79.99) is a great tool for gamers or financial gurus that want to use two monitors to track the action. 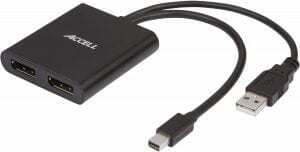 This little powerhouse is designed to attach to any display port equipped mobile device or computer plus a MST hub allows you to connect VGA, HDMI or DVI outputs to almost any monitor. 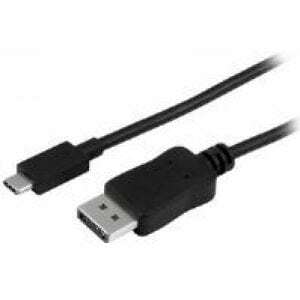 Also from Accell is a USB-C-to-DisplayPort cable ($31.99) that can transmit high definition video from USB-C equipped devices (such as an iPhone) to any DisplayPort equipped monitor. We used it to show off pictures and videos stored on our phones so everyone in the room could see them, eliminating the need for them to hunch around a small phone or iPad display.